Have you ever subscribed to a monthly replenishment program for your favorite beauty or personal care product? 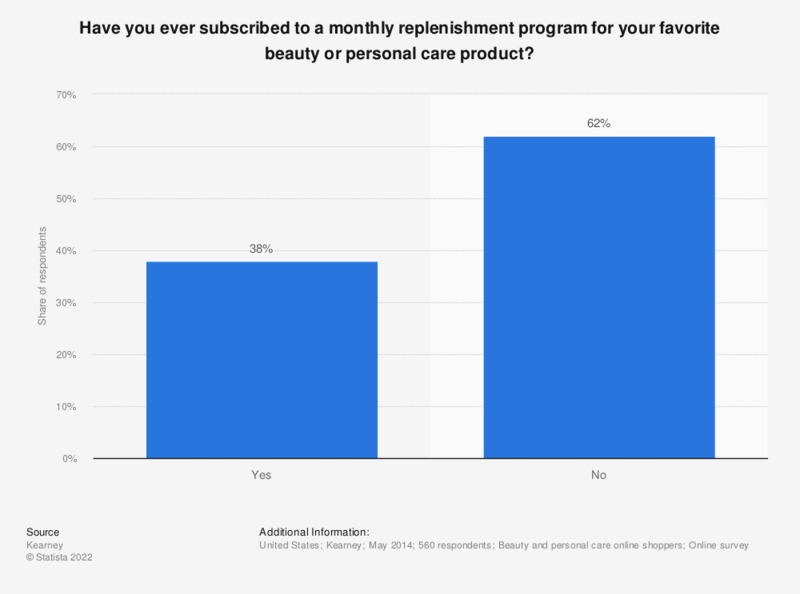 This statistic provides information on the share of U.S. consumers who have subscribed to a beauty product replenishment program in 2014. The survey revealed that 62 percent of respondents did not subscribe to a monthly replenishment program. The source does not provide information regarding the age of respondents. How often do you purchase various personal care products online? What type of personal care product do you use on a daily basis? What are your favorite iced tea accompaniments? What type of luggage do you use in order to avoid baggage fees?